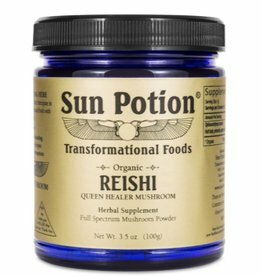 Kick your wellness routine up to the next level with Reishi mushroom powder by Sun Potion! This mushroom was traditionally used in Oriental and Eastern Folk Medicine to "Nourish the Heart and Pacify the Spirit". 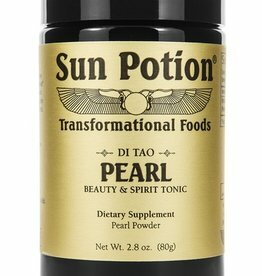 Kick your wellness ritual up to the next level with sustainable fresh water pearl powder by Sun Potion. 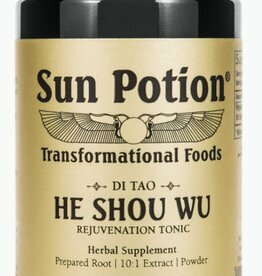 Kick up your wellness routine and start feeling better today with this superior longevity and rejuvenation tonic by Sun Potion. 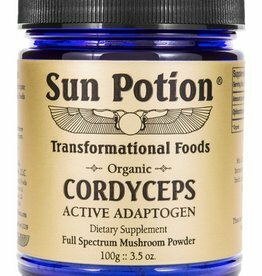 Kick your wellness practice up a level with Cordyceps, the full spectrum, adaptogen mushroom powder by Sun Potion. Increase the quality of your life and vibrate higher! 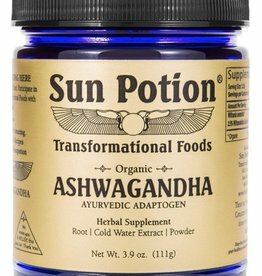 Kick your wellness ritual up to the next level with this super antioxidant Ashwagandha powder by Sun Potion.